Cup head 4.6 grade carriage bolts (also known as coach bolts) with low profile dome head and square under-head locking lug which bites into timber sections preventing turning of the whole assembly when tightening. 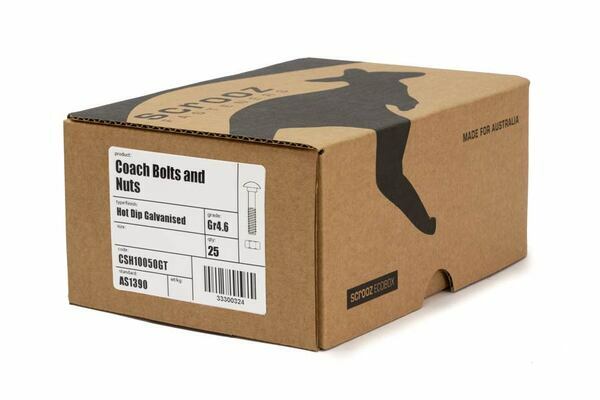 Designed for general purpose construction bolting of timber to timber and timber to steel, galvanised finish for external use, corrosive environments and bolting of treated timbers. 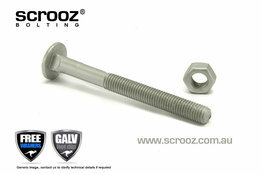 Supplied with corresponding hex nuts and 1 free washer per bolt in the pack or box. 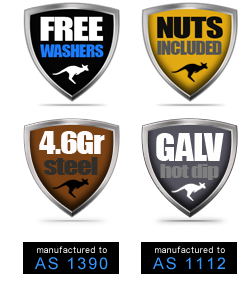 High performance manufacture to Australian Standards AS1390 and AS1112. 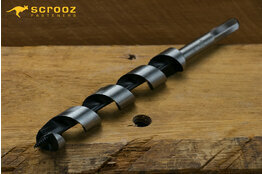 Extended 'longer than standard' thread lengths on all sizes. Hot dip galvanised for maximum corrosion protection. 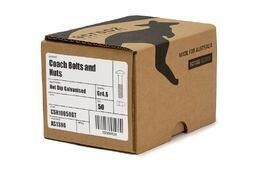 Conveniently supplied with corresponding hex nuts and washers in the box/pack. 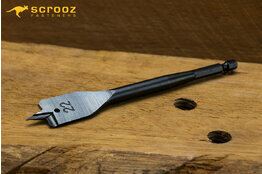 Available in cost saving trade boxes or convenient trade packs.